Attention all math junkies: Maple 2015 is here! Electrodeposited bellows technology offers the best combination of flexibility and strength among coupling technologies. Servometer® flexible shaft bellows couplings offer seamless construction with maximum flexibility, and handle angular misalignment up to 31° and parallel misalignments up to .076". Servometer bellows couplings exhibit low windup due to the bellows' radial rigidity, and low side thrust due to its lateral flexibility. The Department of Energy's Oak Ridge National Laboratory and Whirlpool Corp. are collaborating to design a refrigerator that could cut energy use by up to 40 percent compared with current models. The team will redesign a refrigerator to incorporate Embraco's WISEMOTION linear compressor, which reduces energy losses by continuously matching the compressor pumping rate to the refrigerator's cooling requirements. Wouldn't it be great to automate your pump design optimization? Advanced Design Technology company founder Mehrdad Zangeneh, Ph.D., gets into the nitty gritty of what 3D inverse design software technology can do. A University of Chicago research team has demonstrated how semiconductors can be soldered and still deliver good electronic performance. Researchers and engineers have long struggled with joining together semiconducting surfaces, which are very sensitive to impurities and structural defects. Talk about a long shot. Lockheed Martin's 30-kW fiber laser weapon system successfully disabled the engine of a small truck during a recent field test, demonstrating a rapidly evolving precision capability to protect military forces and critical infrastructure. 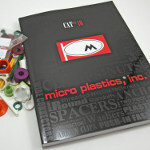 Plastic bearings are strong enough to outperform and outlast metal in countless applications. 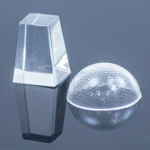 Plastic bearings are an economical replacement for needle, ball, and plain metal bearings. However, they are often not considered a viable choice in the engineering community due to the common misconception that plastic is inferior or weaker compared to metal. Uncover common misconceptions and learn the true reliability of plastic bearings in this new igus® whitepaper. Click here to go to the whitepaper -- no registration required. Proto Labs now produces metal parts using both additive and subtractive processes, and metal parts are being produced by all three of the company's divisions. With metal injection molding, magnesium thixomolding, three-axis milling and turning, and direct metal laser sintering, the challenge becomes how to create the right manufacturing equation that best works for your product. Gus Breiland, Customer Service Engineering Manager, Proto Labs, runs through the options and their benefits and limitations. Fairchild's next-gen PowerTrench MOSFETs for automotive applications feature a high-power TO-Leadless (TO-LL) package, a very small footprint, and allow for exceptionally good EMI behavior. Typical applications include battery management for electric and hybrid-electric vehicles, battery safety switches, start-stop systems, as well as motor drives for EPS (electric power steering) and active rectification alternators. 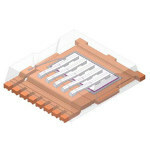 Fairchild offers devices optimized for traditional 12V battery systems as well as solutions supporting new board-net architectures, such as 48V. Proto Labs has added optical-grade liquid silicone rubber (LSR) to its existing lineup of moldable plastic, metal, and LSR materials. High-performance optical LSR is transparent, extremely flexible, and starting to replace glass in many optical applications. The engineering-grade thermoset offers a host of benefits for those developing components and products inside the lighting industry. Optical LSR does not discolor or lose transparency with age or with exposure to heat or UV light; it is significantly lighter than glass and most other plastics; and it is scratch and crack resistant. 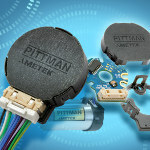 Pittman Motors has introduced the PITTMAN E30C and E30D optical incremental encoders to satisfy the demands of volume OEMs for encoders in precision motion control applications. The E30C and E30D encoders are small in diameter and low in profile, yet offer high resolutions and multichannel outputs in an economic design. The E30C and E30D are 5V, 2-and 3-channel optical encoders and are available in 64 different configurations. These encoders are available in kit form and adapt easily to many Pittman motors. Software: Maple 2015 is here! Attention all math junkies. 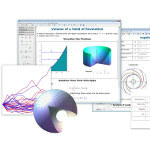 With Maple 2015, Maplesoft offers important new abilities in the areas of data analysis, application development, statistics education, and more. This release includes a powerful new infrastructure for accessing, working with, and visualizing millions of data sets. All data, whether it is built into Maple or available through a connection with Quandl, an online provider of curated data from hundreds of sources, can be seamlessly searched, downloaded, and used inside Maple. New advances include more customizations, clickable math tools, and online sharing. Yutaka Katayama ran Nissan's U.S. operations in the 1970s and is widely known as the father of the Datsun Z, the world-class affordable sports car. He retired from Nissan in 1977. In September last year, Katayama granted a rare three-part interview in which he reflected on his long and storied career in the car business and his philosophy about what makes a sports car great. An international team led by the University of Texas at Dallas has discovered that ordinary fishing line and sewing thread can be cheaply converted into powerful artificial muscles. The new muscles can lift 100 times more weight and generate 100 times higher mechanical power than a human muscle of the same length and weight. Researchers at the National Institute of Standards and Technology (NIST) have demonstrated a technique for mapping deformation in metals that can recover destroyed serial numbers on metal objects such as firearms, a common challenge in forensics. The U.K.'s Auto Express highlights the star cars and crazy concepts at the 2015 Geneva Motor Show. Nothing wrong with blazing through this video, but don't miss the EDAG Light Cocoon with its Lycra-based light-up exterior, the screaming-green Bentley EXP 10 Speed 6 concept coupe with its 3D-printed grille (shown), and Ferrari's latest supercar, the 488 GTB. Researchers unveiled a 5-ft, 10-in. firefighting robot prototype Feb. 4 at the Naval Future Force Science & Technology EXPO, revealing details about its successful demonstrations last fall aboard the USS Shadwell, a decommissioned Navy vessel. The Shipboard Autonomous Firefighting Robot (SAFFiR), sponsored by the Office of Naval Research (ONR), walked across uneven floors, identified overheated equipment with thermal imaging, and used a hose to extinguish a small fire in a series of experiments. Developed by researchers at Virginia Tech, the 143-lb bipedal humanoid robot is helping ONR evaluate unmanned systems in damage control and inspections aboard naval vessels. It's slow and unwieldy, but still shows promise.